Whether the current year has been one to remember or a bit of a nightmare, New Year’s Eve is a time to look for live bands for hire, transform a space with decorations, and stock the bar. The Prohibition Administrator tried very hard to stop everyone’s New Years celebrations, going so far as to put undercover police in hotels and ballrooms. But people’s will to celebrate is just too strong. Here’s how to join them in the 21st Century. Think thick draped curtains, candlelight, metallics, and rich colours. A basement or secluded room is the perfect location, particularly if it’s only accessible through doors and winding corridors. An illegal drinking den should be anything but easy to find. You can bring this tradition to life at your New Years party with custom labels for bottles, wine barrels on display, and even a bathtub of ‘bootlegged’ gin. 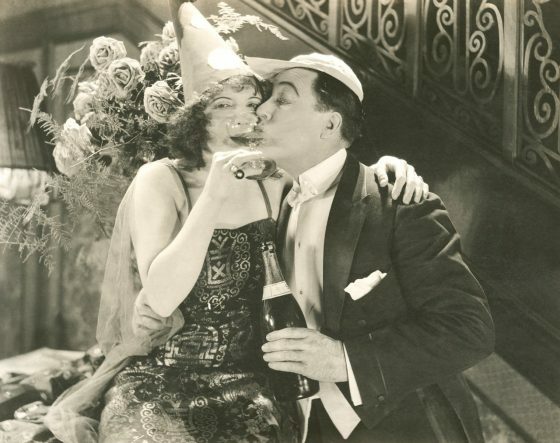 According to a 1929 piece in the Chicago Tribune, “gaudy paper hats”, bells, horns, and other noisemakers were really popular New Years party accessory. As the drink flows, your guests will love the streamers, horns, and hats scattered on their tables. 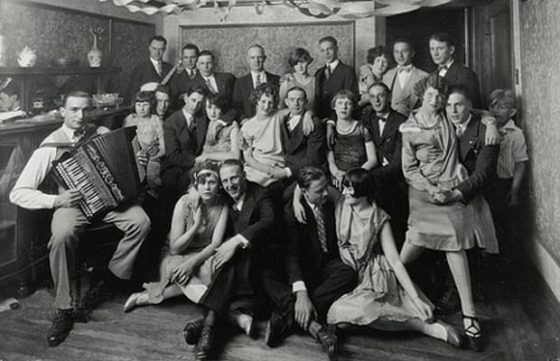 Any old playlist just won’t do for a 1920s New Years party. Whether there was a record on the gramophone, or a live band booked for the occasion, the soundtrack was always jazz. The Jazz Spivs are a unique live band specialising in music from the roaring twenties. We can even bring along our flapper girls who’ll show your guests how to do a classic Charleston. To book, say hello on our contact page.